I am very proud to announce our Startup Package, all the primary features a company needs to start recognizing their staff. Anyone can sign up today from our Homepage. Our signup process delivers a seamless experience on both mobile and desktop. We put a lot of time and effort into making it as easy as possible for users to sign up. We ask a total of six questions over two sections. First, we ask for a company email, company name, and password. If they are the first user of a company, then we immediately log them into our on-boarding process. On-boarding is only three sections, we ask for their name, if they want to add a team, and finally if they would like to invite any teammates. It is a great experience on all devices. Other enterprise recognition applications complicate the process by including too many features. 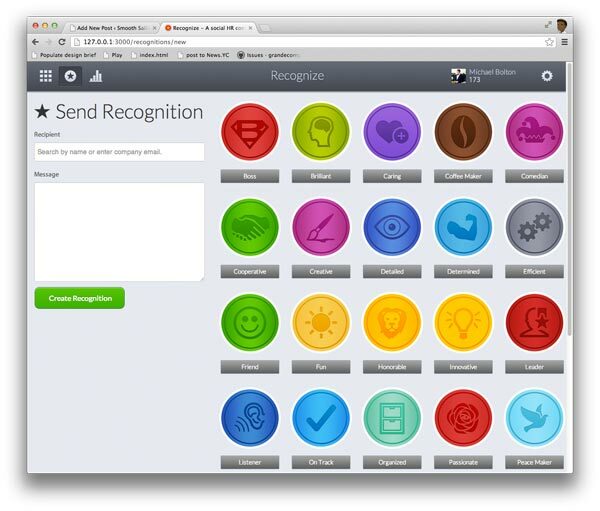 Recognize simplifies this by only having users send messages to each other. 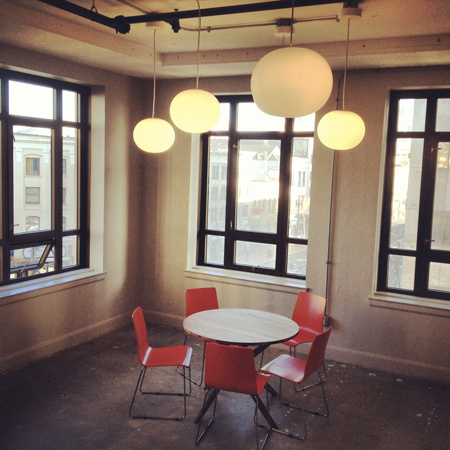 We don’t tie money to our system, and we don’t hinder users by requiring them to setup goals. If your company wants to reward your staff with money, then host recognition parties every month. Hand out gift cards to the employees who send and receive the most recognitions. 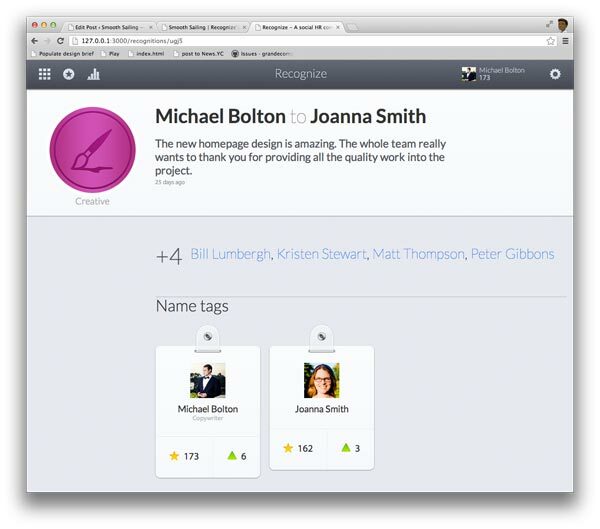 Give money rewards to employees who get to certain point levels in Recognize. 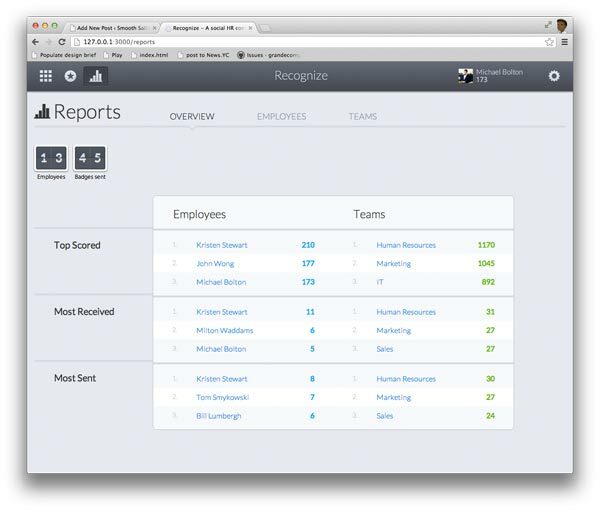 We want you to control your money, and use Recognize to help guide employee reward decisions. But we recommend using the inherit nature of competition to fuel success in your work. Cash rewards lead to employees externalizing their motivation, possibly lowering satisfaction. 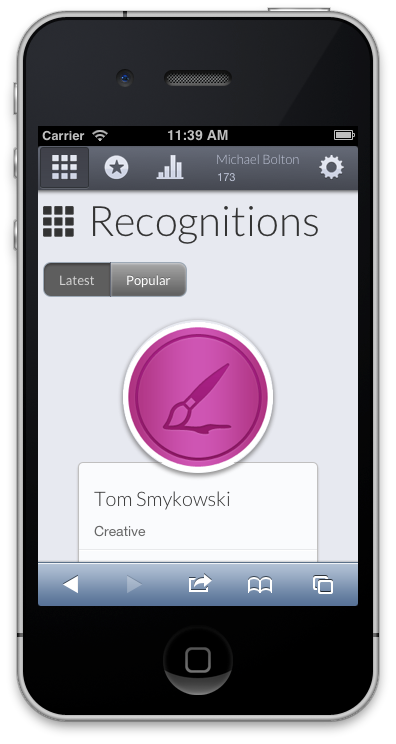 We worked very hard to make Recognize great on all devices. Unlike most web apps, ours doesn’t block you if you try to use Recognize from your phone. You don’t have to download anything! Simply go to recognizeapp.com on your iPhone, Blackberry, Android, or tablet, and you’ll see that it performs just as well as the desktop experience. We didn’t just provide responsive styles, we also optimized your mobile experience. We took advantage of touch technology, making your experience on Recognize half a second faster than most mobile websites. We heard loud and clear from talking to businesses that teams are very important. 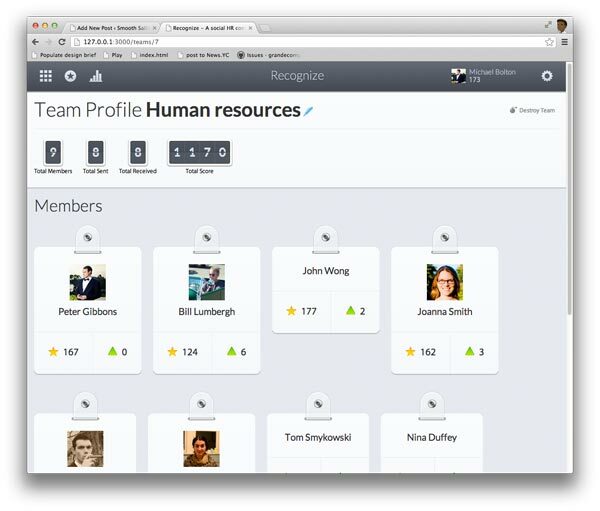 We made teams an integrated component. The idea of Social HR is to use tools and solutions to connect your employees. 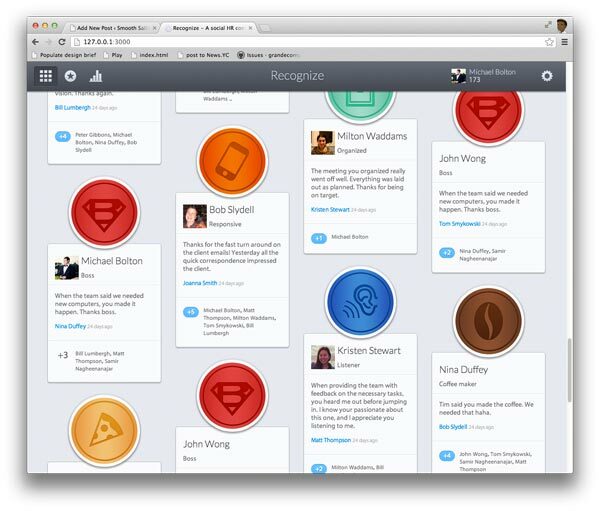 Tools like Yammer and Recognize are both great ways to further engage your employees through technology. Take Recognize for a test drive and sign up right now. This entry was posted in company, Launch on February 11, 2013 by Alex Grande.